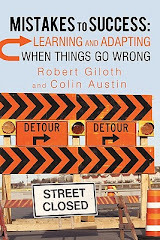 Bob Giloth's Blog: Skills Gap? "It's not globalization or immigration or computers per se that widen inequality. It's the skills gap. Boosting educational attainment at the bottom is more promising than trying to reorganize the global economy." I'm a big fan for addressing the "skills gap" but Brooks hangs an awful lot on the explanatory power of education and the magical remedy of early childhood education. 1) The divergence of increasing economic productivity and stagnant or declining compensation levels since the 1970s occurs during the same period as declining educational attainment. Obviously, some other factors are at work. 2) Brooks writes off or simply ignores today's adults who will make up about 60% of our labor force in 2020. Given projected labor shortages in many industries, our economy needs them. Education and skills enhancement for these workers can be improved if there is an equal focus on effective adult educaton and technical skills training. Take a look at the national campaign Skills2Compete. 3. Greg Ip's "The Declining Value of Your College Degree" in the Wall Street Journal quotes Brooks'sources, Lawrence Katz and Claudia Goldin, to make a contary point that "it became easier for firms to do overseas, or with computers at home, the work once done by 'lower-end college graduates in middle management and certain professional positions.' This depressed these workers' wages, but made college graduates whose work was more abstract and creative more productive, driving their salaries up." Not all education is equal. I've come to the conclusion that we need to improve job quality, skills and education (adult and children), and work supports. This is more ambitious and complicated, but it more fully addresses the needs of our society and economy. Data shows that education is broadly correlated with rising income. But we also know that our economy is generating lots of low-paying, low benefits jobs in services and retail. We need more work on labor policies (minimum wage, EITC, collective bargaining, health insurance, etc.) that respond to the new environment.